This article was guest posted by Ian Graham. 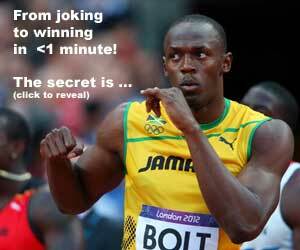 We co-wrote a previous article titled Will Richard Kilty Break 10 Seconds? Ian also wrote Michael Johnson Deep Dive, an in depth look at MJ’s performances and splits. Below I’ve detailed several stats on the men’s long jump. In a future installment I will so the same for the women’s long jump event. I used www.iaaf.org and www.all-athletics.com to compile these stats. 20 Junior athletes have jumped 8.20m or better, based on the IAAF outdoor junior all time lists. Those 20 jumps were achieved between 1972 – 2012 (40 year period), with the WJR of 8.35m by the Russian athlete Sergey Morgunov happening most recently in 2012. 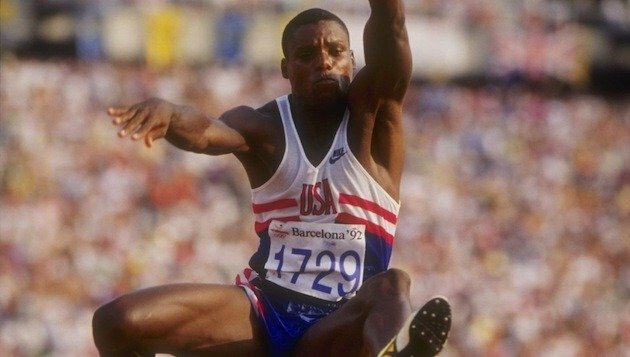 Mike Powell, USA, the current long jump world record holder and longest jumper of all time with 8.95m (8.99m wind-aided) has actually jumped over 8.90m 4 times. Three of them jumps were wind assisted jumps (wind over the +2.0m/s limit). In total there has been 7 recorded jumps of 8.90m or better. * The 8.96m jump by Ivan Pedroso back in 1995 in Sestriere, Italy wasn’t given as a world record as an official was obstructing the wind gauge on the infield. Carl Lewis Long Jump Statistics! 32 Wind-legal jumps of 8.50m or better. Potentially Carl may have more 8.50m jumps than this, but I am simply going off what statistics I have currently got access to, using the IAAF and ALL ATHLETICS websites. Carl had a 10 year long jump winning streak. It took a world record by Mike Powell to beat him and end that winning streak back in 1991 at the world championships in Tokyo, Japan. Jumpers With The Most 8.50m “Wind Legal” Season Bests! Jumpers With The Most 8.70m “Wind Legal” Season Bests! 8.00m Jumpers You May Not Know About! 8.00m Jumpers With Sub 10.00 Second 100m Personal Bests! 8.00m Jumpers With Sisters Who Have Jumped Over 7.00m! Decathletes With 8.00m Plus Personal Bests! Many thanks for this comprehensive statistics. I consider myself a maniac in long jump (statistics), but here I learned a lot of new things and details. Excellent job! This page must be included in the long jump history (archives).